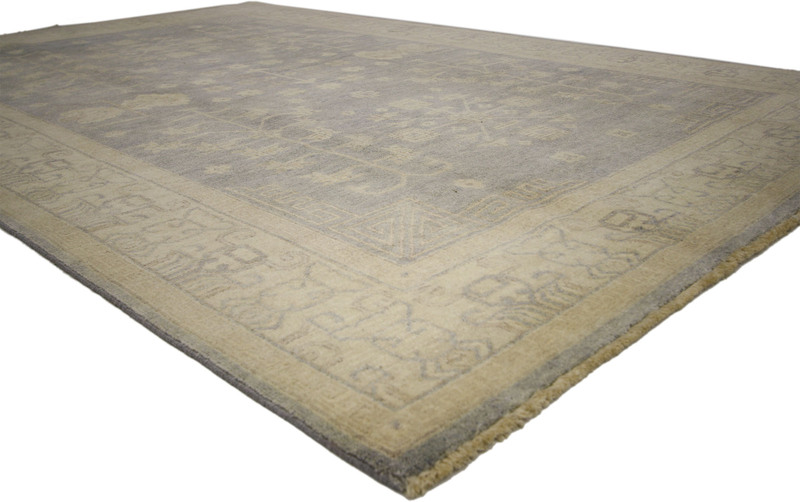 Modern Khotan Style Rug from India, 06'02 X 09'04 From Esmaili Rugs Collection. 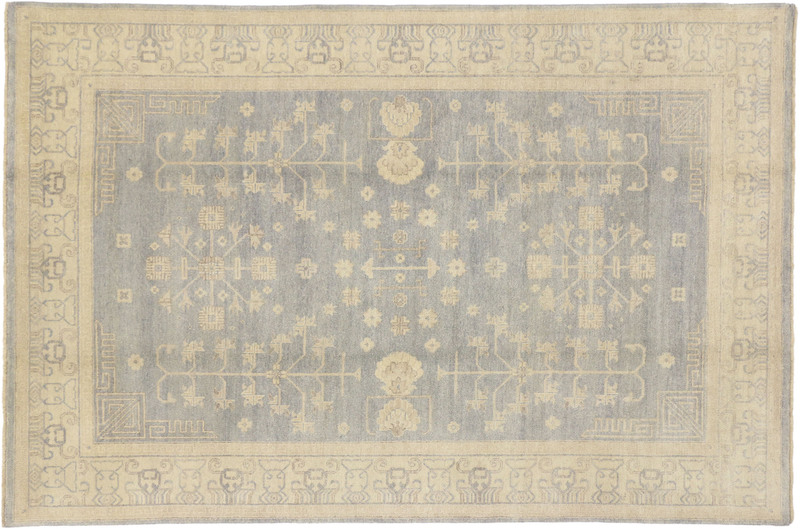 This modern Khotan style rug can inspire a whole global vibe with its transitional style. Create a cozy and idyllic space with a rich combination of texture, shape and pattern. 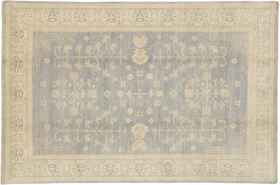 This beautiful Khotan style rug from India features geometric pattern with hues of slate, blue, gray, tan, brown and creamy beige. 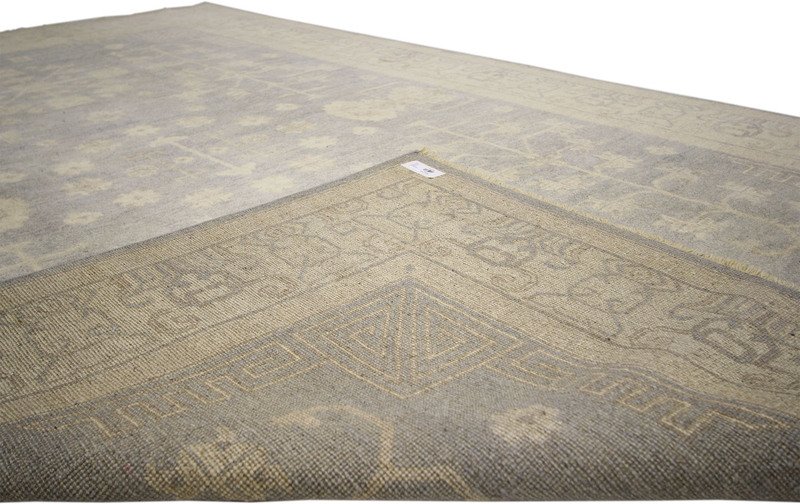 The soft brown and creamy beige border add warmth and injects an earthiness into the cool gray field for a more welcoming aesthetic. 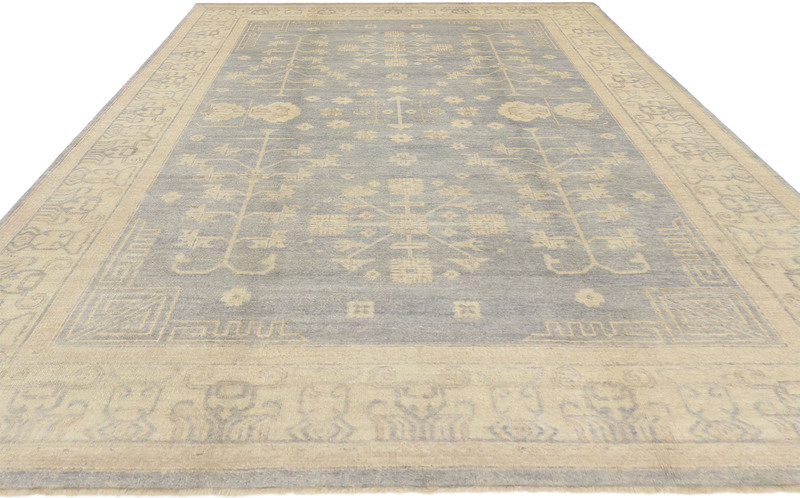 Bring a sophisticated yet idyllic ambiance to your room with this Indian rug.